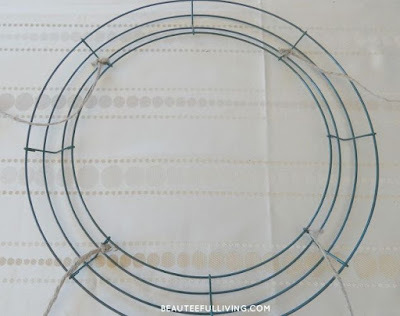 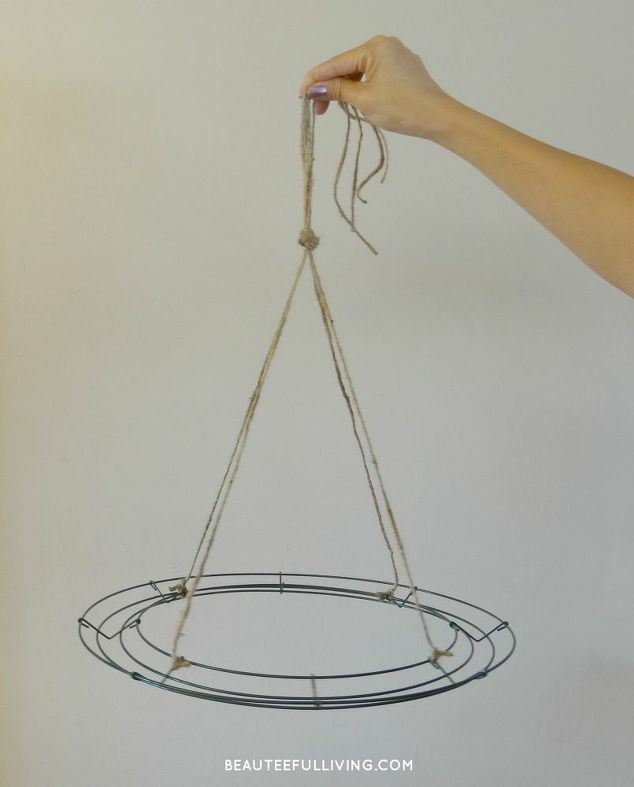 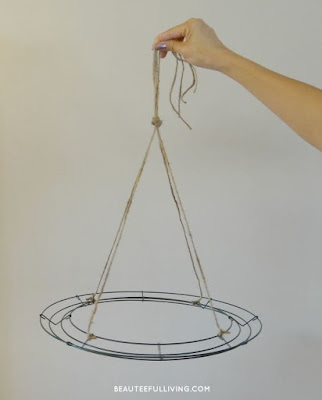 Tying 4 strings (twine used) onto the wire wreath will make this wire wreath into a hanging chandelier wreath. 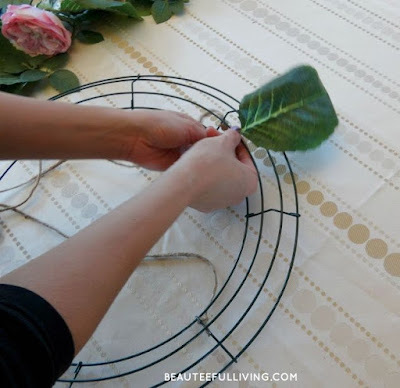 This project will require you to secure the larger leaves by wrapping the ends with floral wire. 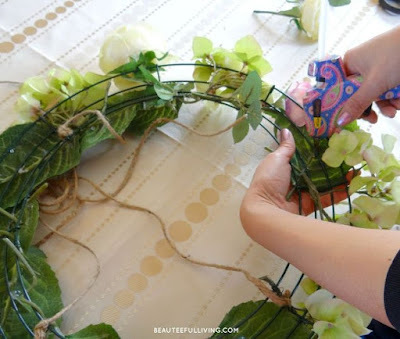 You will also need a glue gun handy to affix the leaves onto the wire wreath. 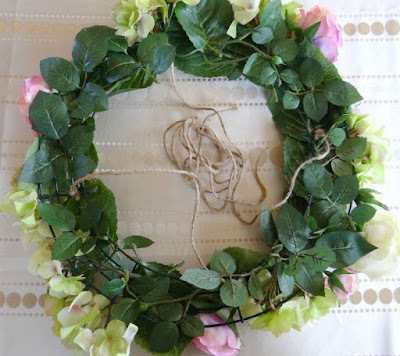 After assembling the flowers and wrapping the large leaves onto the wreath, you will need to make sure the top portion of the wire wreath is all covered by the smaller silk leaves. Using your glue gun will save you some time! 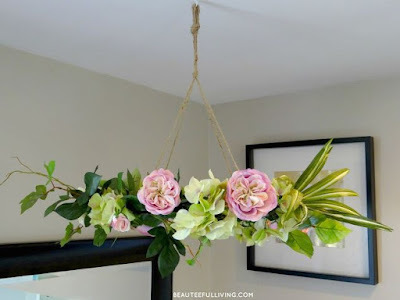 This is the end result. 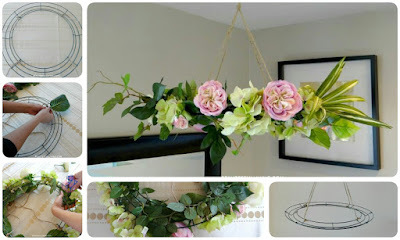 Love how this project came out exactly how I envisioned!